Commemorative Program | Frances Andrew Site Furnishings Ltd.
Frances Andrew Site Furnishings’ Commemorative Program allows you the opportunity to honor a loved one, celebrate an anniversary or to promote awareness of a local business or organization in the community. 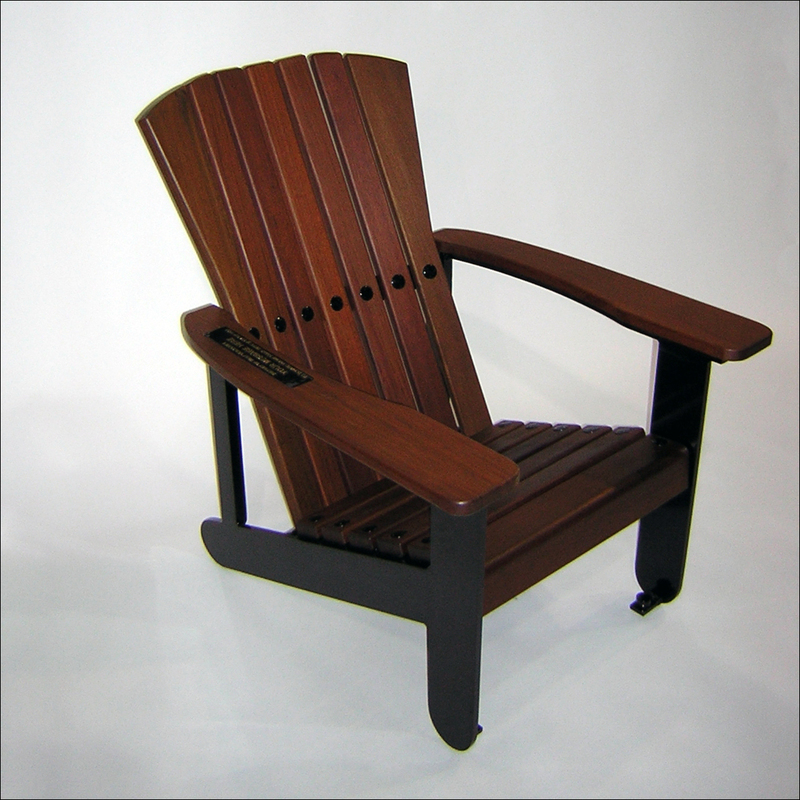 All of our products can be purchased and donated to a community, municipal park, recreation facility, garden, club, church, cemetery, organization, private residence, or anywhere else – it’s up to you! See below for more details. Our beautiful in-house made solid brass plaques make a great accent to any of our products. 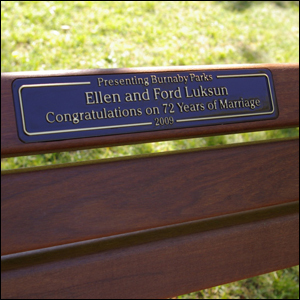 Our plaques are always finished in-house with a polyester powder coat finish for long-life durability. Raised letters are beautifully polished and a clear powder coat, available in matte, semi-gloss, or gloss, is applied as a final touch for long lasting protection. We can custom design our plaques to mount on almost anything. 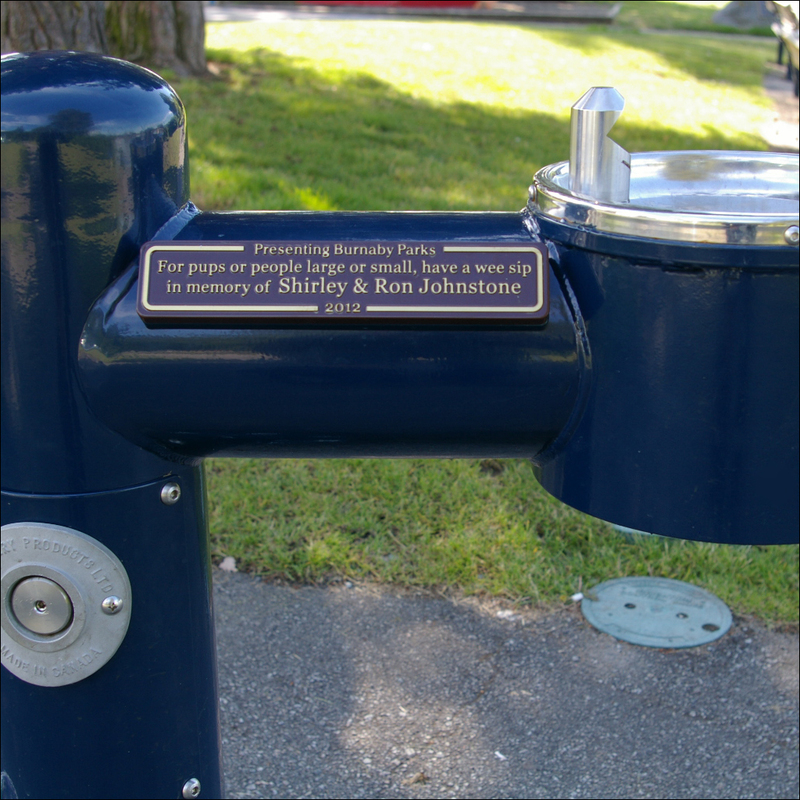 Our commemorative plaques are not only ideal for benches but also, table tops, bollards for tree donations, walls, we have even installed them on drinking fountains. 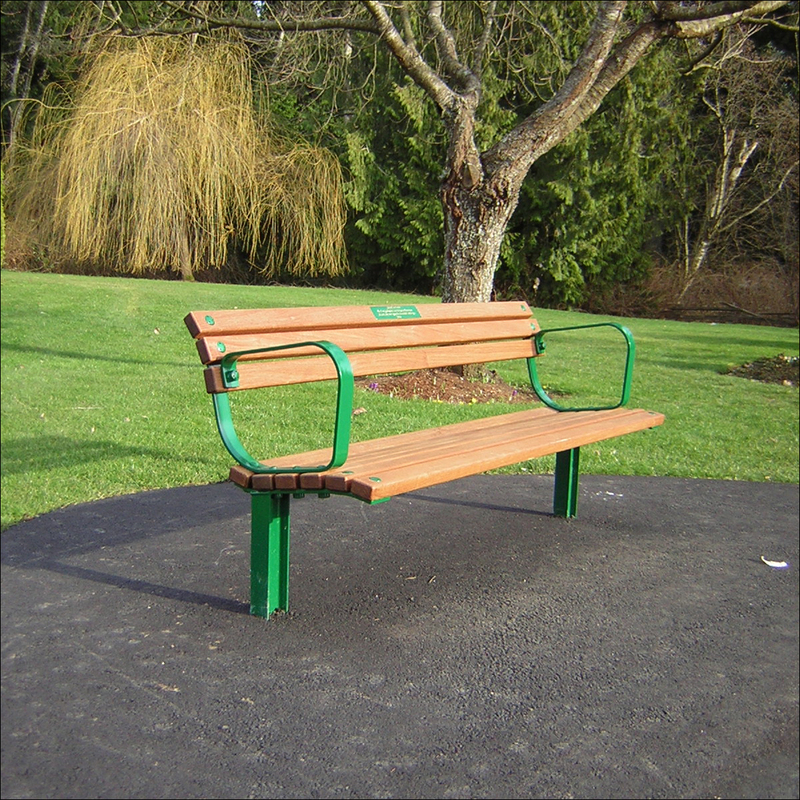 If you are interested in donating a Frances Andrew product to a private organization or a municipality, please contact them directly. 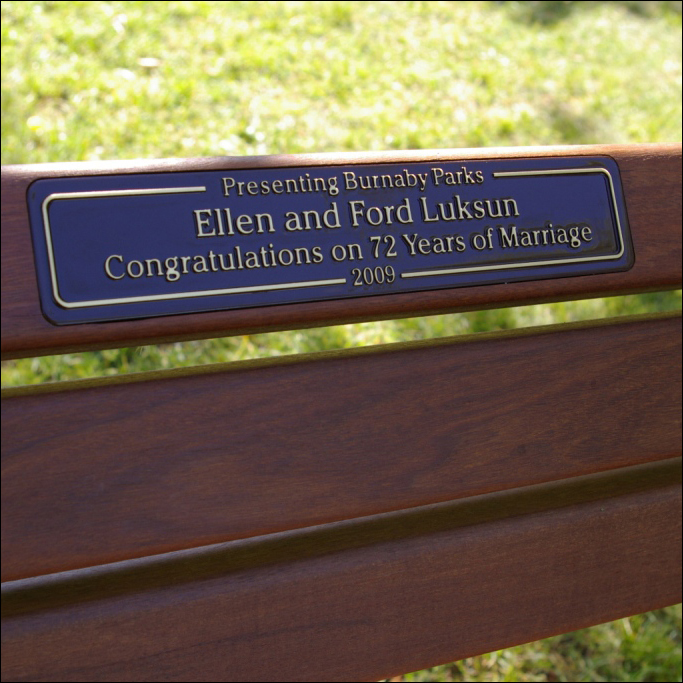 Donation plaque designed in partnership with the City of Burnaby.